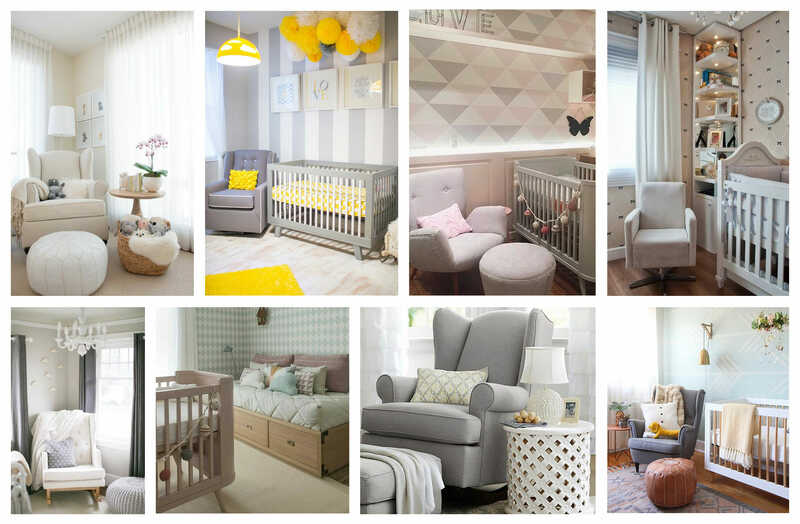 Welcoming a new baby into the family will bring a lot of change to your home, but when it’s time to decorate the nursery, you don’t need to sacrifice style or your decor personality. Check out some great ideas for personalizing your baby’s first bedroom that will charm both children and adults. The first step, as with any room you’re tackling is to decide on the palette or feel you want to achieve. There’s no need to stick to the traditional blue, pink or white. Choose a palette that works with your home and your personality. 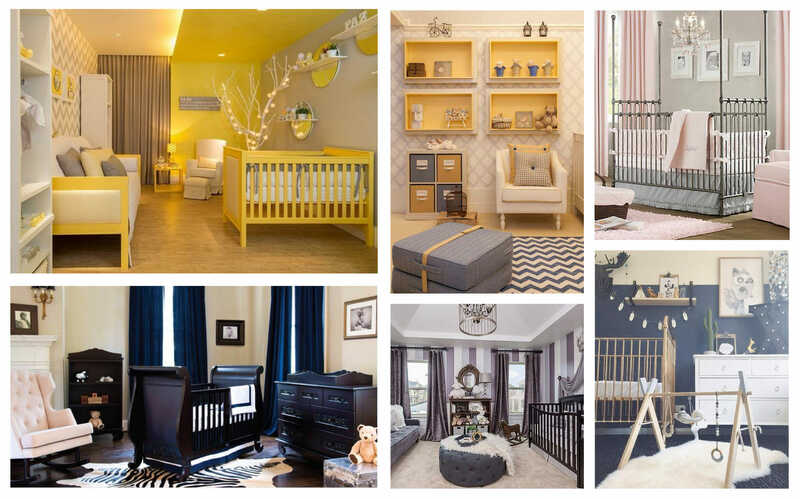 From a sophisticated royal blue and mahogany to an ultra-modern canary yellow and grey, there are no limits to what you can do with your baby’s new home. Much the same way the bed is the focus of the master bedroom, the crib becomes the focus of any nursery. Don’t be afraid to stray from the traditional, but keep your palette in mind when deciding. 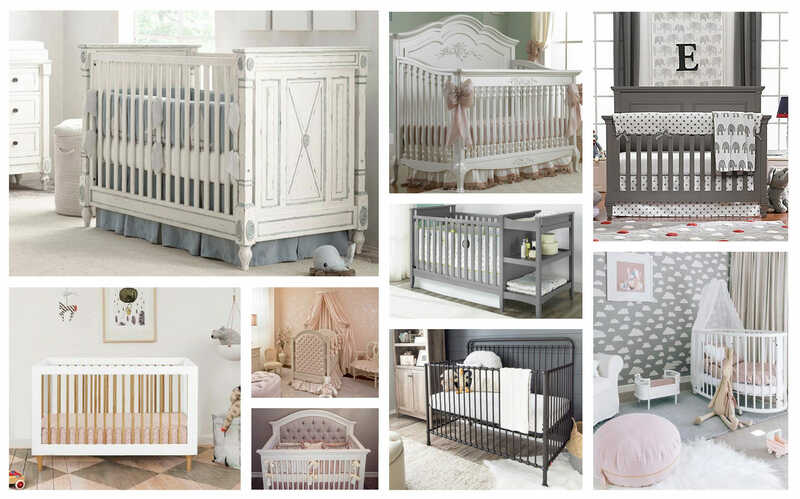 White cribs are of course, a fail-safe, but consider going full luxe with a day-bed style, metal or wooden crib, cushioned headboard or even a canopy cover. Wall features and wall paper add a wonderful texture and personality to any room. In a nursery, you have a bit more freedom to go over the top, as cloud print decals, elevated wainscoting or textured wallpaper look simply adorable when set in a baby’s room. Play with prints like polka dots, oversized stripes, rustic wooden panels, decals and even maps and animal silhouettes. The key to keeping your baby’s nursery tidy and looking its best is adequate storage. New moms and dads don’t have time to spare, so making organization easy is key. Utilize hidden storage in ottomans and benches and invest in a dresser, which can be converted to a modern looking changing table (just remember to mount all furniture for when your little one is up and about) and use storage bins for easy clean-up of toys, blankets and laundry that can cause clutter. Get extra creative with clothing storage and display by installing freestanding shelves and hooks to hang different outfits for days when you’re rushing out the door. As a new parent, there’ll be lots of sleepless nights and feedings in your future, and a comfortable spot to rock baby back to sleep in is crucial. An oversized arm chair or big plush rocker next to a window or reading lamp will become your go-to spot for quality time. The final touches to your luxe nursery are found in the details. Comfy and plush shag carpets can be used as a soft spot for your baby during play time, oversized floor lamps or wall mounted lighting provide a softer glow than harsh ceiling lamps and framed images of adorable baby animals are an absolute must. Even toys can be used as accent pieces, like a stuffed animal placed delicately near the crib’s foot or a strategically positioned dollhouse in the corner.